All three haul ropes are now pulled and spliced. Work carriers have been spotted traversing between parks by cable in recent weeks. Artwork was recently added to the ends of the angle station to make it fit with the theme of the resort. 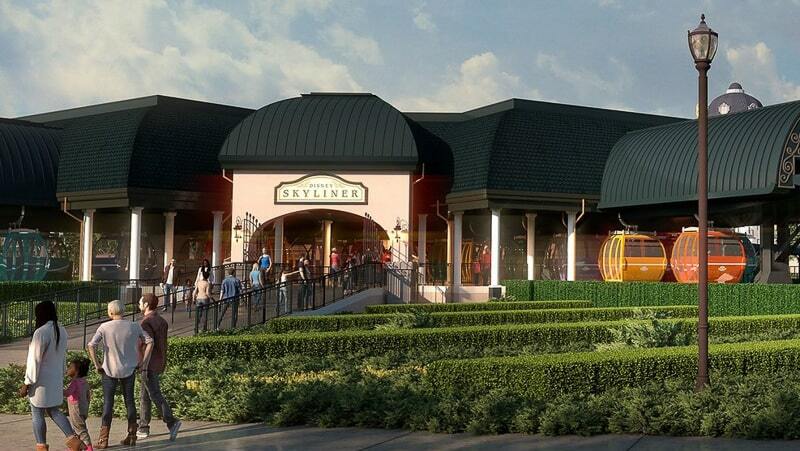 Riviera opens December 16th, 2019, a few months after the Skyliner debut window. There’s a chance cabin doors stay closed at this station for the first few months of Skyliner operation. Significant construction work continues around the Caribbean Beach station, where cabins will be stored and launched for all three lines and passengers will make connections depending on their destination. The two parking areas appear to be at least partially automated with sets of tires visible along the rails. 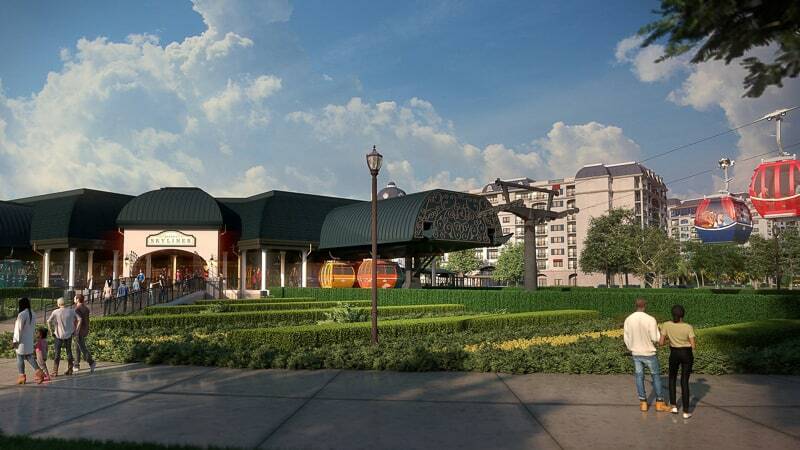 Hollywood Studios station is almost finished and the plaza around the terminal is now open to the public. 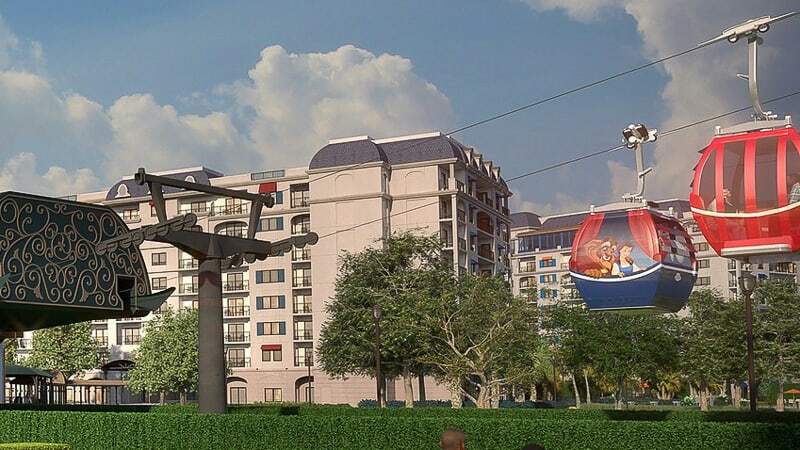 The surrounding landscaping looks amazing for a glorified ski lift! The Hourglass Lake station is also nearly complete and looking sharp with its blue hue and wavy accents. 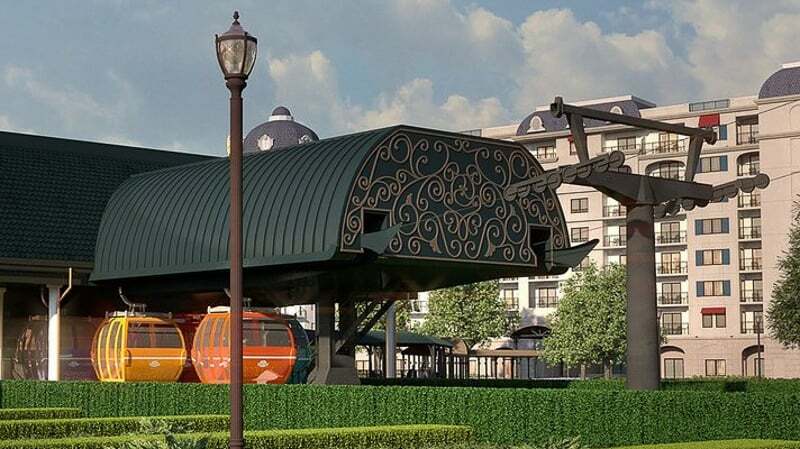 With the arrival of cabins, I expect to see some colorful objects in the Disney World sky very soon! I have been told that they are essentially lightning rods for the entire gondola (or something along those lines). Here’s cabin 322. Holy cow that’s a lot of gondolas if there really are that many. I doubt there are 322 cabins. I’m guessing the first digit is 1, 2, or 3 based on which lift that cabin is supposed to be on.